The Avenue Care Home | We provide quality care for our residents. For a care home that provides individualised services, contact The Avenue Care Home. Call 01684 575 922. 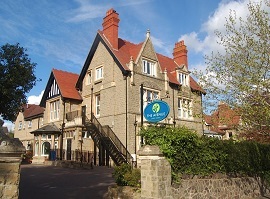 The Avenue Care Home is a large stone built Victorian house, located in the picturesque town of Malvern. Nestling at the base of the Malvern Hills and situated in a delightful tree-lined road. The home is within close proximity of the shopping center, Great Malvern railway station, The Winter Gardens and Christ Church. We offer a specialist approach to care for adults with mental ill health, learning difficulties, acquired brain injuries and old age. We offer round the clock care in a homely setting for long-term residential care, respite care, and day care services. Our established competent team are committed to providing outstanding care. They work with the resident, their relatives and representatives focusing on understanding individual’s health requirements and personal choices to develop a personalized care plan. We aim to provide a quality of life that the resident deserves and our care reflects this, helping individuals achieve their lifestyle choices whilst maintaining their dignity, privacy and respect.